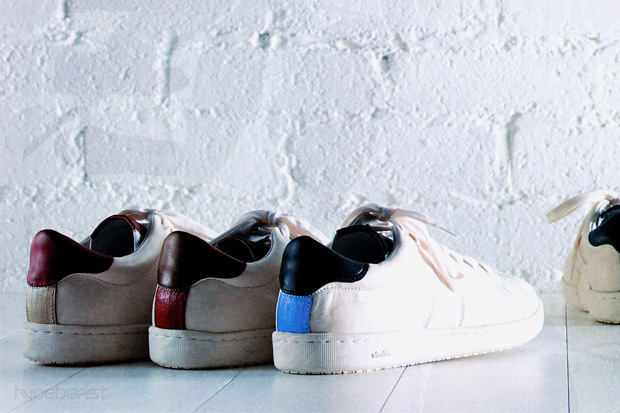 So, what can be said about the new Visvim Foley GoodYear - Folk that hasn't already been? Nothing, really. It's a classic leather tennis trainer, sole thanks to GoodYear, that FIL will replace when worn down. No word on how much the service will cost you (should be free at an almost $700 price tag), but given that you're sure to wear a pair of nice white tennis trainers to the ground, you might want to invest in a pair that can never self-destruct. I'm sure they would even work out a way for you to send them in if you're like me and don't live anywhere near an FIL store. Good luck getting a pair for this fall.